At the rear of 176 Soho Hill, Soho Hill Handsworth, Birmingham, West Midlands, B19 1AL. Kickboxing arose from karate in the late 1960’s. Practitioners of karate found they wanted to test themselves fully against other practitioners of their art and hence fight full contact. They took the punches and upper body movement of boxing and melded it with the kicks of karate to create an effective and, when practised with correct technique elegant fighting style. We still consider kickboxing to be a martial art. 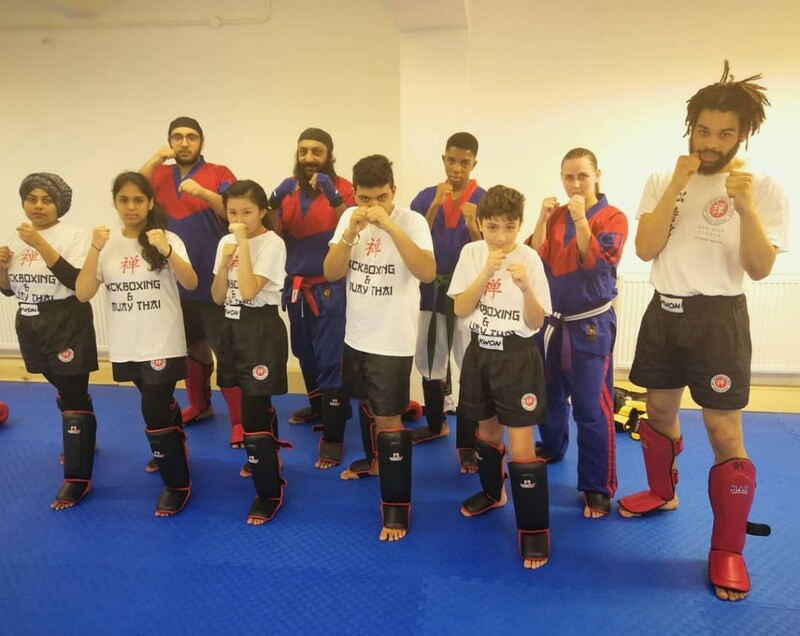 A martial art is something anyone can practice, martial arts are about self-improvement and challenging yourself to be the best that you can be. Muay Thai is a combat sport originally from Thailand that uses stand-up striking along with various clinching techniques. This physical and mental discipline includes strikes using the shin, fists, elbows and knees, it is characterized by the combined use of these parts of the body, being associated with a good physical preparation that makes a full-contact fighter very efficient. Muay Thai became widespread internationally in the twentieth century, when practitioners defeated notable practitioners of other martial arts. Here at Zen-Shin we practice both Kickboxing and Muay Thai. We call it KBMT. We take aspects from both martial arts and combine them to make a more complete rounded experience for our students. When competing we use K1 rules. 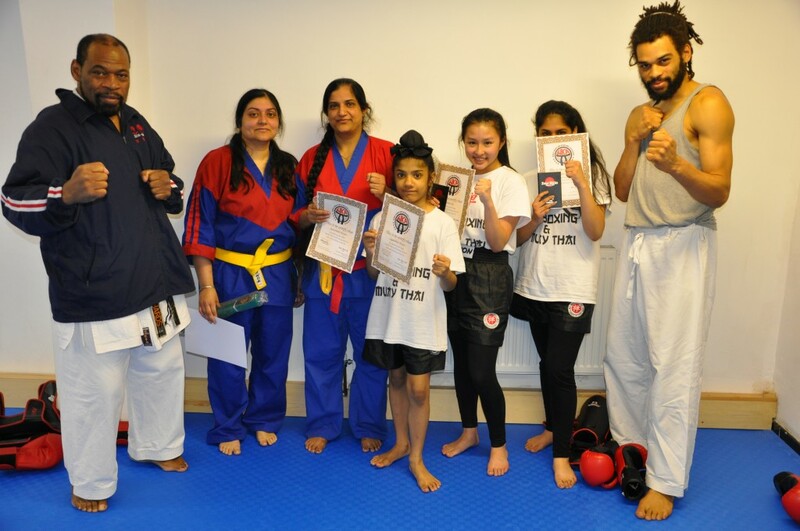 We welcome everyone to our club, no matter their ability, and believe we have one of the most inclusive and friendly clubs at Zen-Shin Martial Arts Academy. Due to the physical demand of kickboxing and Muay Thai, our classes are great to build up fitness levels, you are guaranteed a good sweat! We have mixed adult classes (for males and females) at Soho Hill. 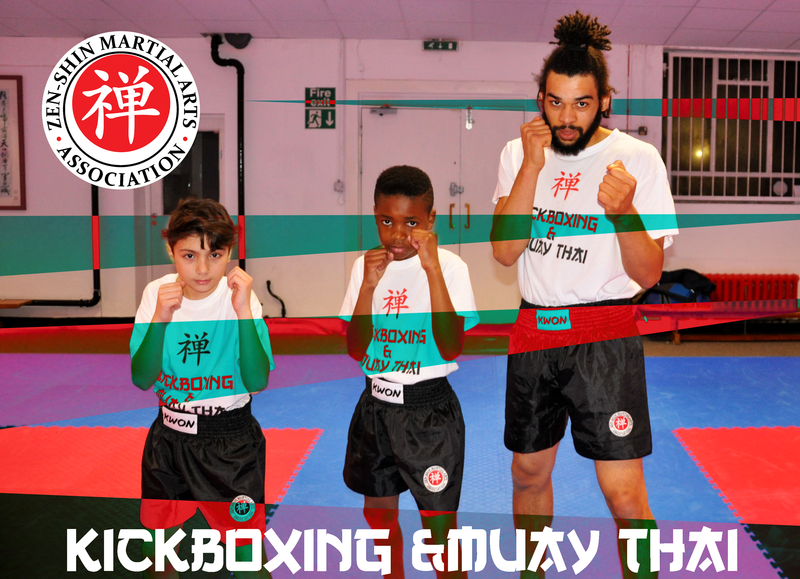 We also have a kids kickboxing class which takes place at our Digbeth Academy for children aged 4-11years old.